Tamarind is a widely used ingredient in South East Asian countries like the Philippines, Thailand, Malaysia and Singapore. It is used in almost anything from soups and sauces, the sweet, sour and fruity taste gives a unique flavour in dishes like Sinigang, Pad Thai, Assam Laksa and Massaman Curry to name some. This ingredient can also be used in drinks and even sweets like this post, Sampalok candy. 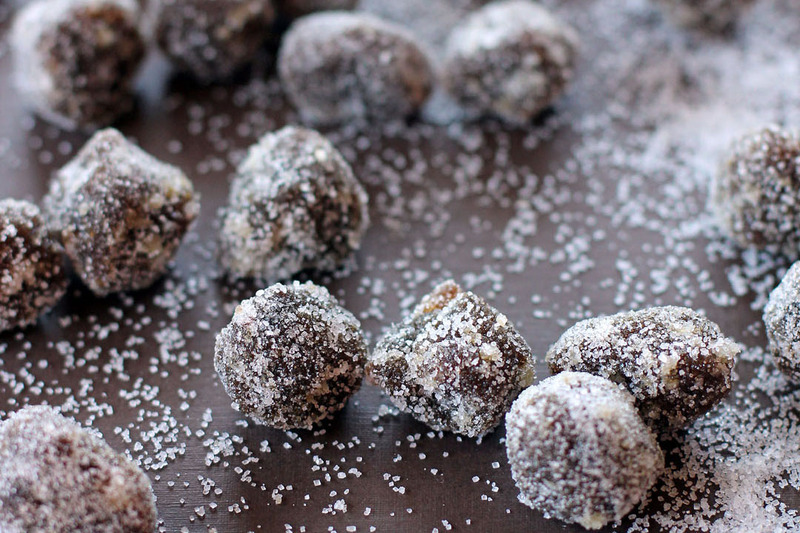 It’s a simple concoction of Tamarind and Sugar rolled into balls. Mix all ingredients together in a sauce pan except the salt, place over medium heat and cook until mixture becomes thick and can hold its shape when formed into balls. Add sugar and a bit of salt in a wide plate. 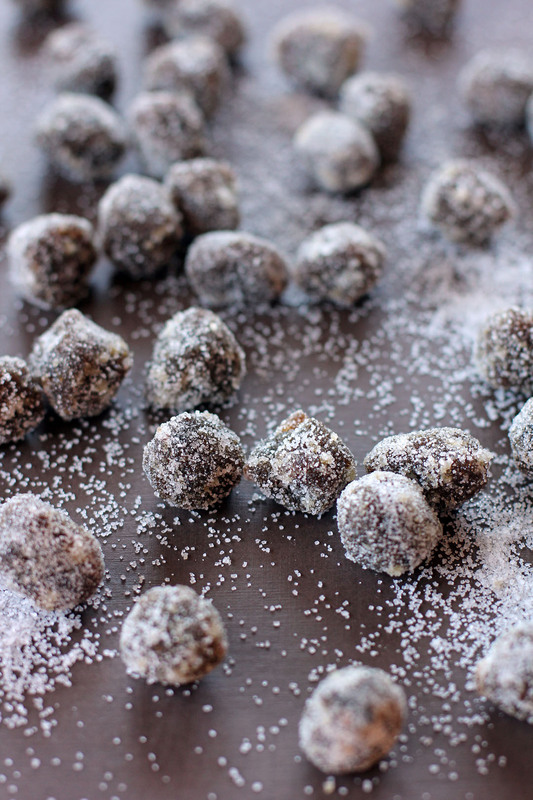 Form mixture into small balls and roll it into the sugar salt mixture. thanks for sharing this recipe. I still have some tamarind in my cupboard – and was still wondering what to do with it, since it’s not one of my usual staples..
Oh I love simple little candies like this! I don’t have tamarind pulp, but I do have tamarind paste. Would it work? I have to ask because tamarind is new to me. Thanks! This brings back memories but the candy I buy at the stores don’t taste the same to me anymore, it has that commercialized flavor. Thanks for sharing the recipe. My favorite! 🙂 I’d ask my mom to buy me these when I was young, I never knew there’d be sweet potato in there! 😛 Interesting! 🙂 Sarap! Tamarind candies! You never fail to surprise & delight Raymund! i grew up with tamarind candy a “must” bring as pasalubong when i go on vacation in the philippines. my relatives make sure that their sampaloc candy pabaon is sour. they add a bit of soy sauce, brown sugar and a bit of salt altogether in the mixture of very sour sampaloc pulp making sure that the sugar is well cooked (slow cook low fire) to achieve the “tira-tira” like texture. Mmmm, soy sauce is an interesting addition. Got to try that version, thanks for sharing this.